Find the new Register in the Members Only area of the website. 6th February 730pm. Talk by Dr Crispin Hayes on 'Creating a national orchard inventory for Scotland', part of the Royal Caledonian Horticultural Society programme at Royal Botanic Gardens Edinburgh. 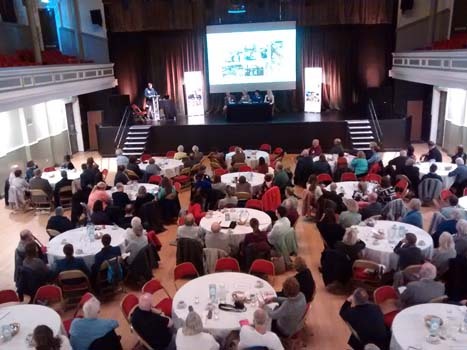 The SGF attended the Keep Scotland Beautiful Annual Seminar. We met lots of the 200 people who came, as well as the 19 other stall-holders.